Red Bull, Rockstar, Monster, and Starbucks Double Shot Energy are just a few of the energy drinks on the shelves of grocery stores, convenience stores and even some department stores. Energy shots like 5-Hour Energy, Mio Energy, and similar products are also available. Both energy drinks and shots contain large doses of caffeine and other stimulants such as guarana and ginseng that provide a temporary energy boost. Many of them also contain a mega-doses of a variety of B-vitamins, which help with energy metabolism. We all need an occasional energy boost but the Mayo Clinic recommends limiting energy drink intake to no more than 16 ounces a day. Moreover, children, adolescents, pregnant women, women who are breastfeeding, and people with certain health conditions are advised to avoid energy drinks altogether. Why is this? Because, the temporary energy boost may come along with negative side effects. One possible side effect is skin redness and a hot feeling caused by excessive niacin intake. 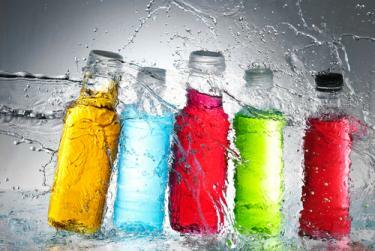 Another is loss of tooth enamel from the high amounts of citric acid found in energy drinks. The caffeine and guarana can also cause nervousness, sleeplessness, rapid heartbeat, or more serious consequences.